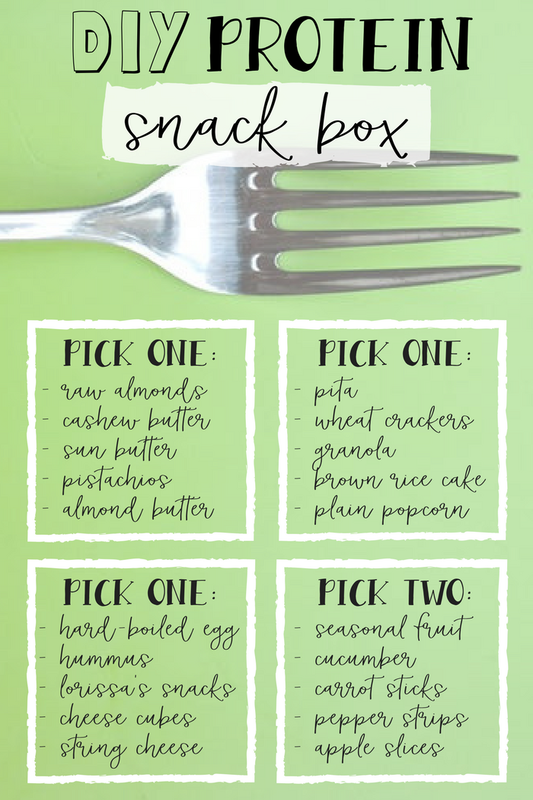 Create a simple, filling DIY Protein Snack Box, that’s packed with fiber, protein, and nutrients. 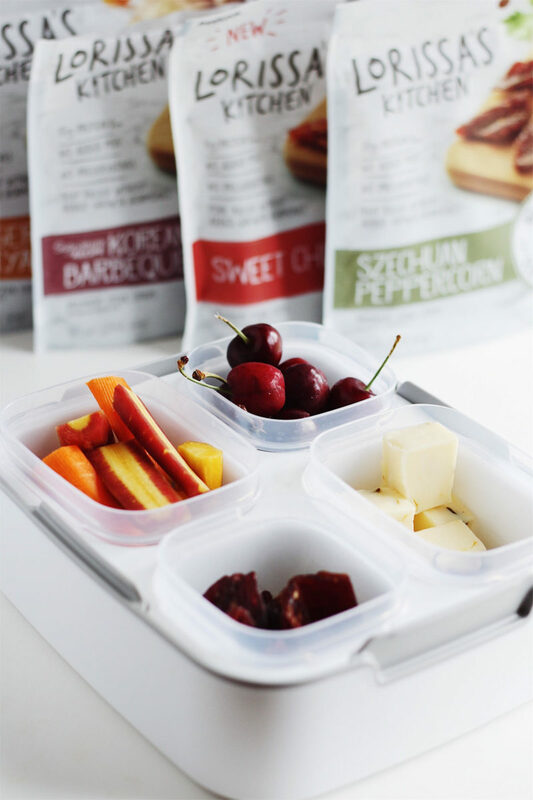 This protein snack box will keep you full, and its variety is a great way to combat a sad desk lunch! 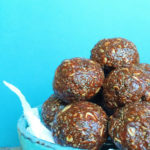 This post is made in collaboration with Lorissa’s Kitchen protein snacks. When my husband worked for Whole Foods, I was absolutely obsessed with these little protein snack boxes they had. The snack boxes were so simple. Four square compartments, each filled with their house-roasted turkey, cheese cubes, grapes, and carrot sticks. Since I lived a few blocks away from Whole Foods in Portland, they were a really convenient snack to grab if I was starving but needed to go to a meeting, run errands, or I was #hangry while waiting for a very delayed bus. I see protein snack boxes everywhere now, from grocery stores to that really famous coffee chain that rhymes with Marbucks. But I’ve wised up, and started making my own. I mean, I don’t have that sweet Whole Foods discount anymore! But making your own DIY protein snack box is so easy and so much more cost-effective. 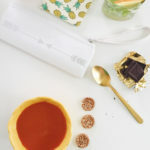 A DIY Protein Snack Box can surely suffice for your workday lunch, but it could also be a great post-workout option to stuff in a gym bag or have on hand as an emergency snack. And you can customize your DIY protein snack box any way you’d like! Here are some ideas, and what I’ve been filling in mine. To create the perfect DIY protein snack box, think variety. Put together a well-balanced box that includes protein, healthy fats, fiber, and whole grains. A nice balance of sweet and salty ingredients will also supply a satisfying meal. 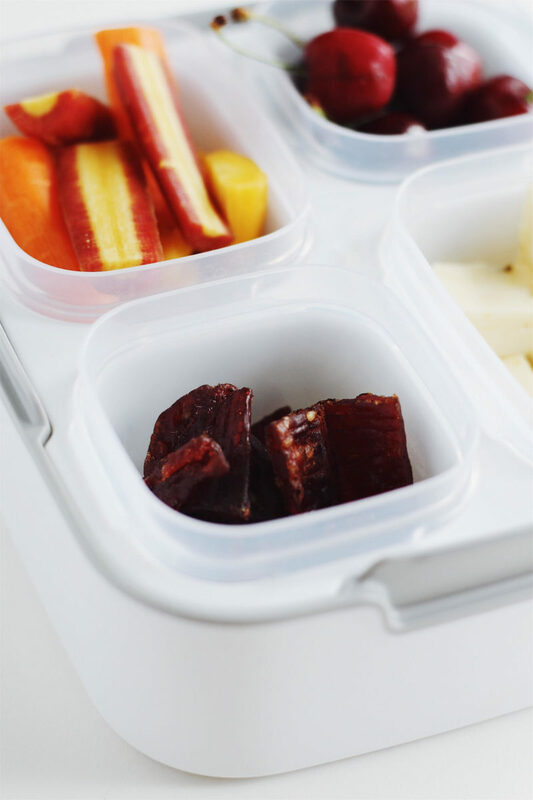 A small portion of this box is an excellent choice for a snack, but a bigger DIY protein snack box provides a pretty amazing (and delicious) desk lunch. 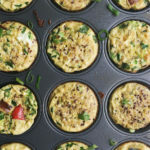 Protein, fiber, and complex carbs impart a healthy dose of energy to help combat that mid-day crash. 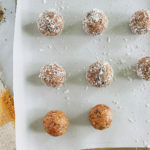 Of course, no DIY Protein Snack Box is complete without, well, protein. A hard-boiled egg, a bit of cheese, or some creamy hummus all include protein. 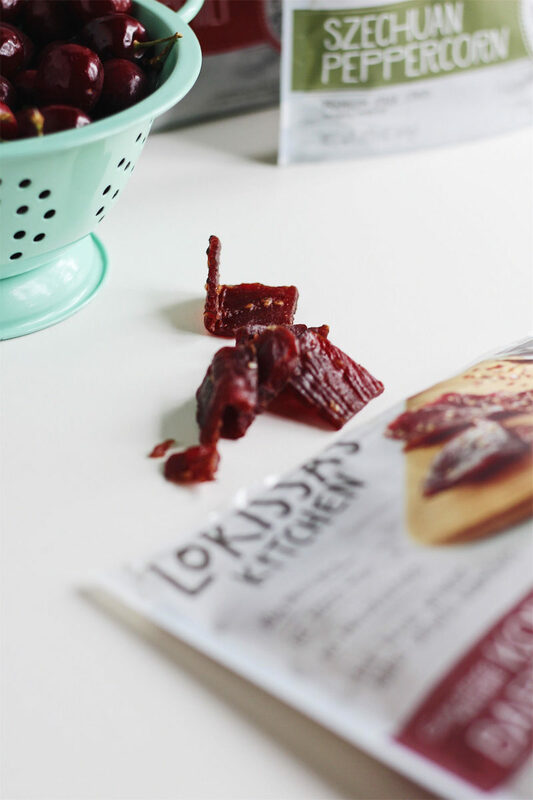 My favorite protein to include, however, is Lorissa’s Kitchen meat snacks. These tasty little snacks are the perfect on-the-go protein. They are made from responsibly raised 100% grass-fed meat and antibiotic-free chicken and pork. They have 11 grams of protein per serving, and what they don’t have are any preservatives, added hormones, nitrates, or added MSG. 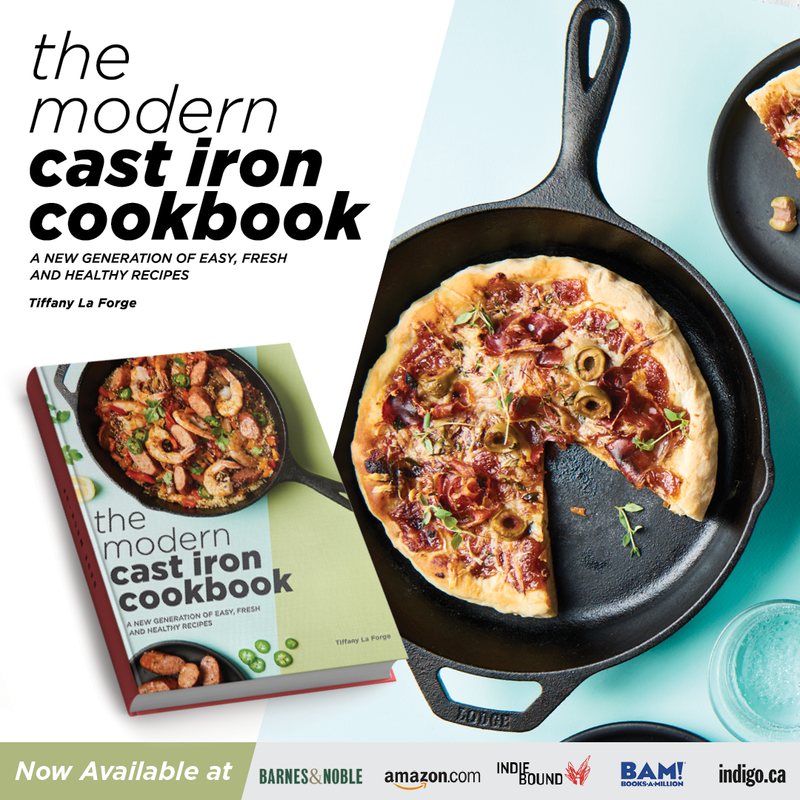 They’re gluten-free, perfectly portable, and utterly delicious! 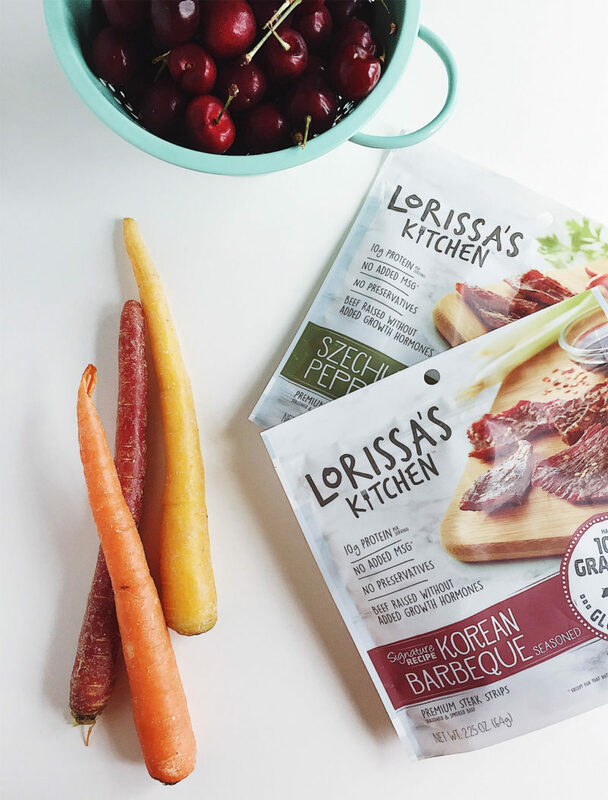 Lorissa’s Kitchen offers four unique recipes: Korean Barbecue Steak, Ginger Teriyaki Chicken, Sweet Chili Pork, and Szechuan Peppercorn Steak. Which one would you choose? 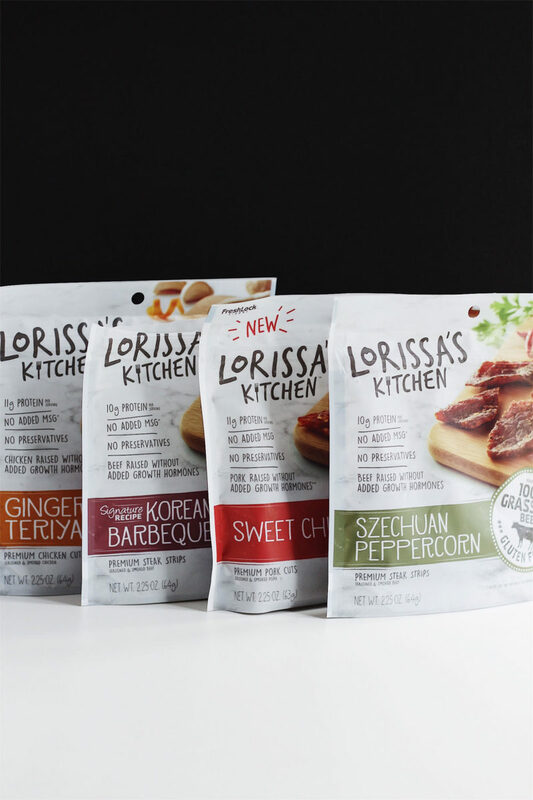 I’m also happy to offer a limited time coupon for 20% off Lorissa’s Kitchen on Amazon! 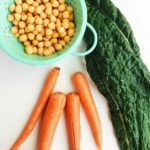 Raw veggies add some great fiber and nutrients to your snack box in addition to nice crunch. Veggie sticks also provide top-notch dip-ability, great for scooping up some creamy hummus or nut butter. 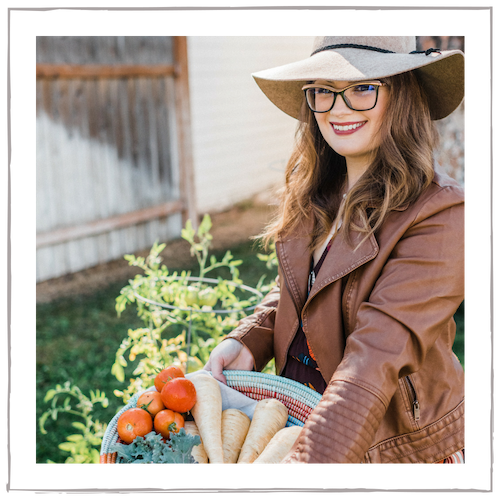 I love to include carrots, which are rich in beta-carotene, fiber, antioxidants, and vitamin C. But snow peas, cucumbers, bell pepper strips, cherry tomatoes, and celery are all wonderful options, too. Including some delicious seasonal fruit in your DIY protein snack box satisfies the dessert portion of your lunch. 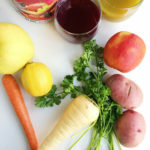 Fruit is an excellent source of dietary fiber. It’s low in calories, but packed with nutrients, vitamin C, potassium, antioxidants, and more. Right now, I’m digging antioxidant-rich cherries, but your favorite fruit will do! To keep it simple, another favorite go-to is apple slices, which are perfect for dipping into nut butter, and, apparently, keeping dentists away. Oh, cheese. You’re so delicious. I’m not going to lie, knowing that I have a few cubes of cheese waiting for me in my lunch instantly makes me happier. If you love cheese like me, make sure to include a few pieces in your DIY protein snack box. I like to include pepper jack for some extra pep. Only pack about a one-ounce portion, though, as cheese is very high in calories and fat. However, it’s also loaded with protein, calcium, vitamin A, B12, and zinc. Whole grains are one of the best sources of fiber around. Don’t be scared of these complex carbs. Heart-healthy whole grains reduce blood cholesterol levels, protect the heart, aid in digestion, and help keep you full. Include a serving of whole wheat pita bread, brown rice cakes, whole grain crackers, granola, or plain popcorn. 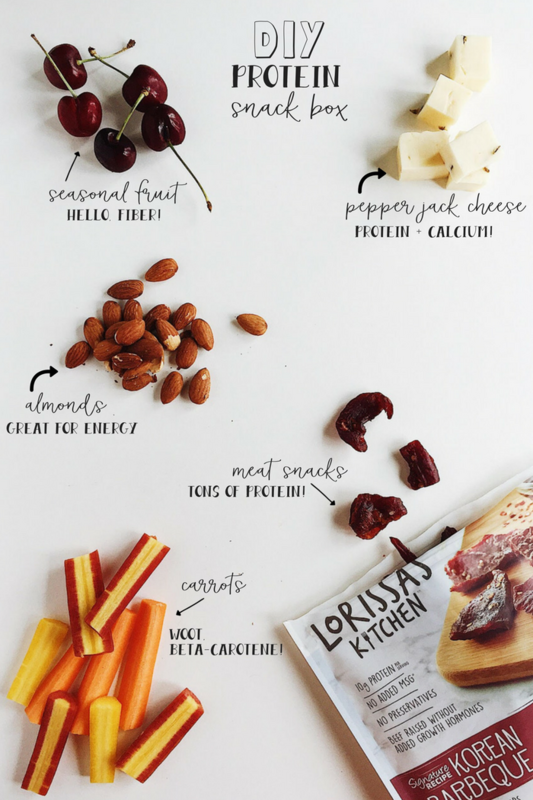 Thank you for reading this DIY Protein Snack Box with Lorissa’s Kitchen! I hope that it gave you some lunch and snackin’ inspiration. Which flavor would you try? Let me know in the comments below! *Giveaway has ended. Hi, I’m clicking on the sweepstakes link but it’s just taking me to the Amazon page for Lorissa’s Kitchen and there isn’t any info about a sweepstakes there. Am I just not seeing it? Thank you! hi Kate! I’m so sorry but the sweepstakes ended a few days ago. You can still grab the 20% off coupon from Amazon. Sorry about that, Kate! If you follow me on Instagram I’m hosting a Visa Gift Card giveaway tomorrow morning. 🙂 Hope you give LK a try! Yes Kate, I completely agree! I always put the end date up but to be honest, I didn’t know exactly when the brand planned on ending this giveaway. I am updating it right now to read that it is over. Thank you so much for your feedback! Hope you have an awesome rest of your day.